I am a Chicago based Artist that focuses on uplifting our future, our children. Dionne Victoria is a Chicago artist whose artwork is a meditative tool to heal and express the internal landscape of the soul in an external world. Her artwork can be viewed nationally and she has exhibited internationally. Dionne Victoria has exhibited in the United States Congress Library for a year as well as in the Museum of Science and Industry on numerous occasions. Currently her art can be viewed at the Zhou B Art Center where her studio is located. She travelled to South Korea where she taught English, using art. While there, she started an art as therapy group with other international teachers suffering from culture shock. Once returning back to the states she started volunteering at the Cook County Juvenile Temporary Detention Center doing art as therapy with young men who were in the middle of determination. As her love of science grew she began developing a science-arts integration curriculum while teaching at SkyArt, Northwestern University Center for Talent and Development as well as her at own arts studio, Dionne Victoria Studios, INC. She began curating under Tye Johnson Artistry but branched off to create her own community-based organization the Butterfly Community which focuses on change through the three E’s education, exhibitions and entrepreneurship. Securing her Masters in Teaching from the University of Chicago opened the door to working with teens in a more in-depth scale. She began partnering with the University of Chicago’s Art Incubator teaching the skills necessary to operate an arts organization. 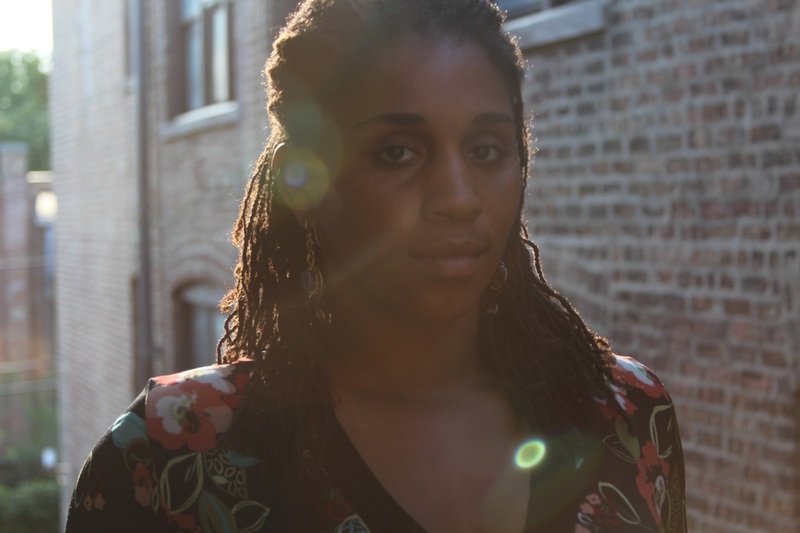 She is a Field/WORK resident at the Chicago Artist Coalition where she is working to hone her art business skills while expanding her network of artists. Dionne partners with the South Side Community Art Center to offer art as therapy to adults and science-art education to children. She helped to found the Sister Circle of the South Side, a sisterhood devoted to the empowerment of those who take part in it and started Dinner with Dionne, an open invitation to meditation and dinner. Heroes of Tomorrow are paintings of children I know as the superheroes they are. Our children are taught everyday they are not enough, they will never be enough and they are not worth it, by mass media, by the school system and by people in power. The most common time our children see themselves publicly, is in criminal situations or if their bodies are strewn across the street. They should know how super they really are, that they are not defined by what mass media is promoting them as and that they are great beyond measure because the only limitations they possess are the ones they place on themselves! I paint them how I see them, in the light they shine on us! These pieces are about love, about character and about seeing your light from within. My goal is to spread love by showing healthy images that look like me and those around me. I use every form of paint I can find, acrylic, watercolor, spray paint, tempera, house paint, paint markers. If it’s paint I use it because though it is the same medium, as people are, there are so many different values to it, as there are different values to people. I use various forms of paint to express the variety in values while creating an image that is unified because unity is my end goal. I paint on wood because it is a bit more raw, even when refined. It is still living. Over time it warps and moves and changes and that is what life is; constant change. My art and activism is centered around education, community building events and exhibitions.